Rocky won a Reserve in Group ,Open in Show and seven Open in Groups during a short show career on his arrival in N.Z. 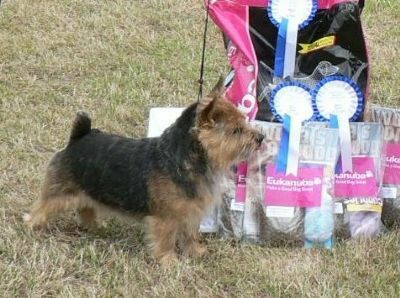 He then settled in to full time fatherhood, and in his first full show year for progeny (2011) produced the leading Norwich in all categories on Dogzonline in New Zealand, with Norwester Time and Trouble winning the Show Dog and Breed score, while Norwester Time to Tango (owned by Linda Strongman and Kirsten Dixon) won the Norwich Rising Star points category, and was third young terrier on the National table. In 2012 N. Time and Trouble leads all Norwich categories, with Time to Tango & his younger full sister A Fine Time Lucille doing well. 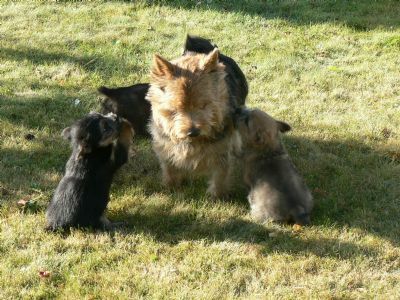 Sadly, Rocky died peacefully and unexpectedly at home on 6th August 2012 from natural but unknown causes. A postmortem showed no specific cause of death, and no genetic health problems. 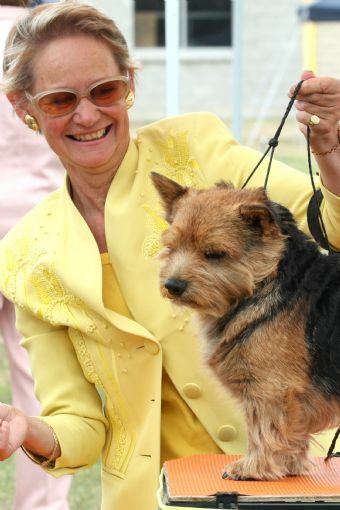 His loving presence will be much missed by his family, but his contribution to the breed in Australasia will live on through his many sound and handsome children.